David Gilmour is streaming a video preview of a new exhibition of his guitar collection that opened in London this week ahead of an auction in New York this June. Hosted by BBC Radio 6 Music presenter Matt Everitt, the footage gives viewers an advance look at the event at Christie’s auctioneers in the UK capital, which runs from March 27-31 and is free to the public with reserved tickets available at christies.com. The exhibition – which will also be seen in Beverly Hills, CA (May 7-11) and New York City (June 14-19) – gives fans a look at more than 120 guitars owned by the Pink Floyd legend ahead of a June 20 auction of some of his personal collection. 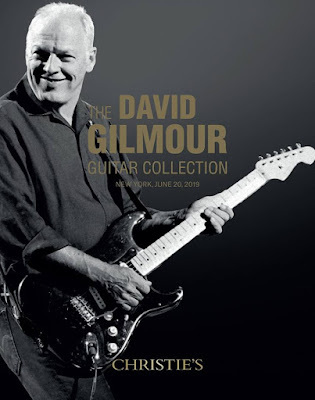 For more details on the David Gilmour Guitar Collection, visit christies.com.